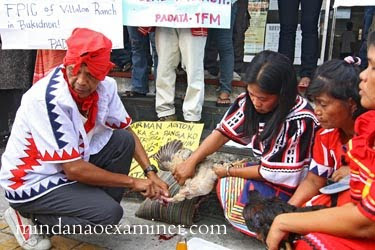 QUEZON CITY, Philippines (Mindanao Examiner / May 6, 2011) – Tribesmen have accused the government of failing to resolved issues involving ancestral lands in the southern Philippines. 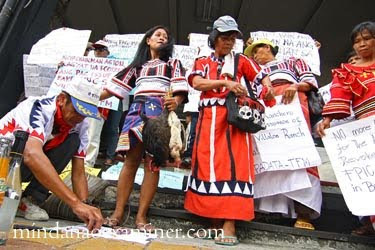 Members of the Higaonon tribe in Bukidnon protested the order of the National Commission for Indigenous People that allowed ranchers an extended time in securing permits for them to stay on a vast track of lands being claimed by natives. 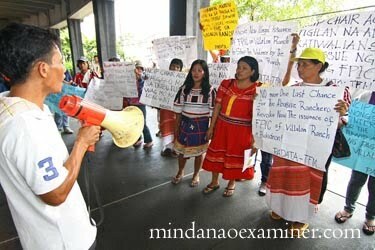 The ethnic group belonging to the Panalsalan-Dagumbaan Tribal Association or PADATA has filed before the NCIP a petition to annul or recall the Compliance Certificate it had issued to Villalon Ranch for the renewal of its Forest Land Grazing Management Agreement. 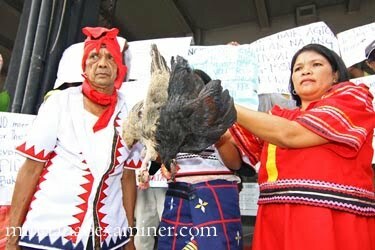 The ranch is in the town of Maramag and is now subject for resolution by the government agency. Bai Vilma Monera, PADATA chairperson, said that on February 21 this year, Roque Agton, the NCIP chairman, issued an order directing both the tribesmen and the ranch owner to file their respective memorandum within 10 days. While PADATA complied, Monera said the ranchers failed to submit their memorandum. She said her group as expecting that by now the NCIP should have already issued its resolution on the land case, but was surprised to learn that the agency has extended the ranchers’ submission of the agreement. 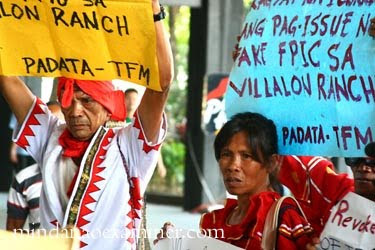 “The case could have been decided for reason of technicalities because of the failure of the Villalon ranch to comply with the government order, but the NCIP extended the submission of the memorandum,” Monera said. She said they were being harassed in the province and that the tension is high in Bukidnon. “We want that the case be resolved immediately to defuse the tension.” Monera said.